The EAD Lindos is an oddly shaped Earth Alliance destroyer. It is, however, one of the most ferocious ships ever seen. With its numerous beam cannons, a Lindos can easily cripple any opponent. 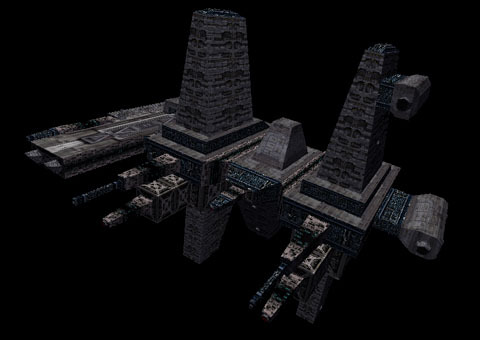 The huge Lindos-class is probably the most oddly-designed warship ever constructed by mankind. 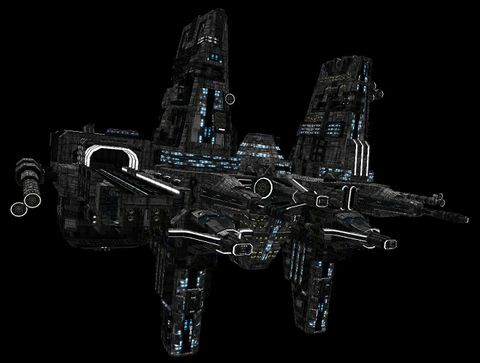 Bristling with dozens of beam cannons and rapid fire turrets, nearly all of her firepower is concentrated on her forward quarter. Allied Command has lost several destroyers to Lindos strikes, as they are capable of delivering a crippling assault the moment they get into beam range. Lindos is a town on the Rhodes island. 'It was one of the oldest HTL models we still used and it lacked a lot of unique features of Lindos from R1, like asymmetrical ramp and torpedo launchers. I decided to rework it again, restore original parts and incrase polycount.' - Nyctaeus. It may look like a clown's idea of a building that can fly in space, but don't be fooled. The Lindos is one of the most dangerous warships in INFR1 simply because of its insane forward firepower. 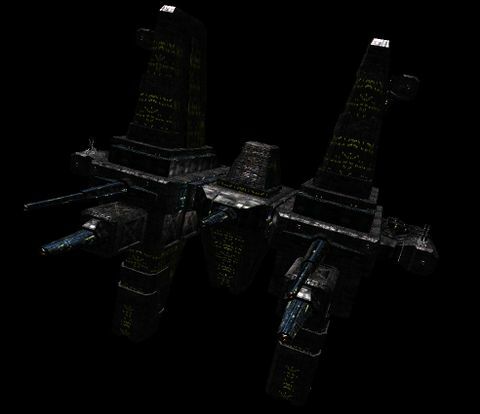 10 beams mean that it can easily annihilate a small fleet on its own within minutes, or even a destroyer as heavily armed as the Boreas within a few seconds. Pre-emptive surgical strikes on this ship to strip it of its weaponry is a necessity if one is escorting warships against it. This page was last edited on 6 December 2018, at 11:15.